Home / Coalinga / Admissions / Why West Hills College Coalinga? 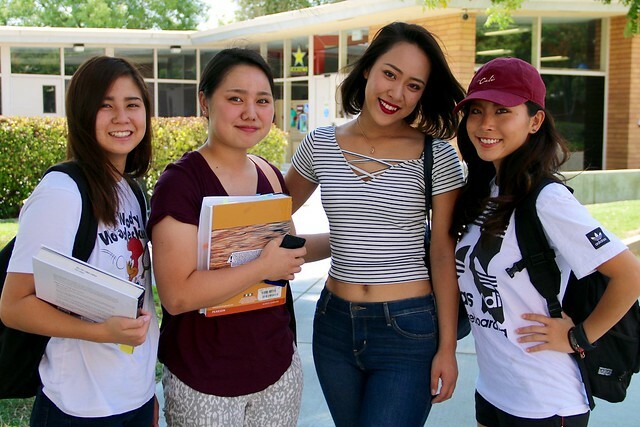 If you are looking for a safe and friendly academic environment look no further than West Hills College Coalinga! Our district is nationally recognized and we strive to provide a world-class learning environment to a diverse population in a down home friendly atmosphere. The favorite saying of faculty and staff is ¡Mi escuela es su escuela! West Hills College Coalinga offers small class sizes which means our students have more one-on-one time with instructors. Meet with an advisor today to begin your academic journey with WHCC today! Students enrolled at West Hills College Coalinga enjoy use of smart classrooms, web enhanced lecture material, and the latest technology. Taking a course at West Hills means you will be exposed to relevant real world technology in efficient manageable ways. Associate degrees and/or certificate programs are offered in many areas from agriculture to trade, technology, and industry. West Hills College Coalinga has a variety of financial aid options including loans, scholarships, and grants. West Hills College Coalinga is one of only 12 community colleges in California to offer residence halls. Many of our students enjoy the convenience living on campus has to offer. West Hills College Coalinga has a cafe on-campus. It serves Breakfast, Lunch, and Dinner to students, WHCC staff and faculty, and is also open to the public. West Hills College has an array of sports teams including a coed rodeo team, men's football, basketball and baseball, and women's volleyball and softball.